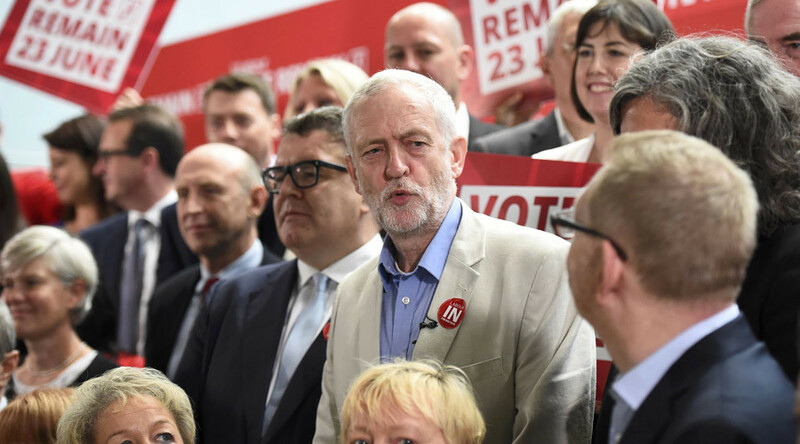 Labour Party leader Jeremy Corbyn has unveiled his newly reshaped cabinet, promoting key allies to his top team as the revolt against his leadership intensifies in the wake of the EU referendum vote. A total of 41 Labour front benchers have handed in their resignation. Business secretary and shadow first secretary of state Angela Eagle is one of the latest to quit. In a statement, she said the party needs a leader "who can unite rather than divide," saying he has "lost the confidence of colleagues." She says Corbyn should examine his conscience and "go with dignity." "I think he should realise this isn't about him - it's about the country and about steering the Labour family through these times so we conserve our constituents and our country properly," she told Sky News. Eagle has not ruled out standing for the leadership herself. Asked if she will, she says: "I think today is about trying to restore credibility to the Labour Party. I don't think today is about speculating." Others who have resigned include Shadow Foreign Minister Diana Johnson, Shadow Civil Society Minister Anna Turley, Shadow Defence Minister Toby Perkins, Shadow Cabinet Office, Scotland and Justice Minister Wayne David, and Shadow Consumer Affairs and Science Minister Yvonne Fovargue. “With a range of younger MPs, women and minorities and people from working class backgrounds, the most diverse Labour shadow cabinet ever can speak for all of Britain,” he said. The appointments come after a turbulent Sunday, which began with Corbyn sacking Shadow Foreign Secretary Hilary Benn after he told Corbyn he had lost confidence in him. A motion of no confidence in Corbyn, tabled by Labour MPs Dame Margaret Hodge and Ann Coffey, is set to be considered at a meeting of the Parliamentary Labour Party (PLP), with the possibility of a secret vote on Tuesday. Former Shadow Education Secretary Lucy Powell, who resigned on Sunday, said it was not a “planned coup” against Corbyn, but instead a reaction to the “seismic” events which have shaken Westminster, namely the EU referendum result and Prime Minister David Cameron’s resignation. She said: “I don’t think it’s sufficient to say ‘I have the support of the members.’ A leader of the Labour Party, a leader of any political party, has to command both the support of the membership as well as the support of the Parliamentary Labour Party." Thousands of people are set to march on Parliament Square on Monday in support of Corbyn. More than 3,000 supporters have pledged to attend the demonstration, called #KeepCorbyn.